In the days where Star Wars had taken the world by storm, everyone wanted a piece of the science fiction/fantasy pie. Furthermore, video games had started making their cultural impact, and Disney's 1982 film Tron was evidence of it. The Last Starfighter was a combination of these two ideas. Yet, it's pretty well made for what it is. 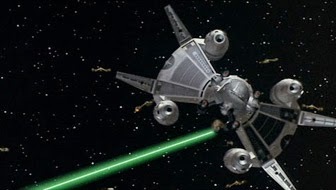 In fact, The Last Starfighter, and Tron were two of the first films to use CGI extensively throughout the film. Of course, being among the first, the CGI doesn't hold up well today, but knowing when it was released, it's forgivable. In fact, considering it's supposed to be like a video game, the CGI looks, appropriately, much like a video game. As the film starts, and the music plays, although I hadn't seen the film before, I knew I've heard it somewhere before. Alex Rogan (Lance Guest) plays the classic archetypal main character. The Luke Skywalker character, in the first noticeable ode to Star Wars. 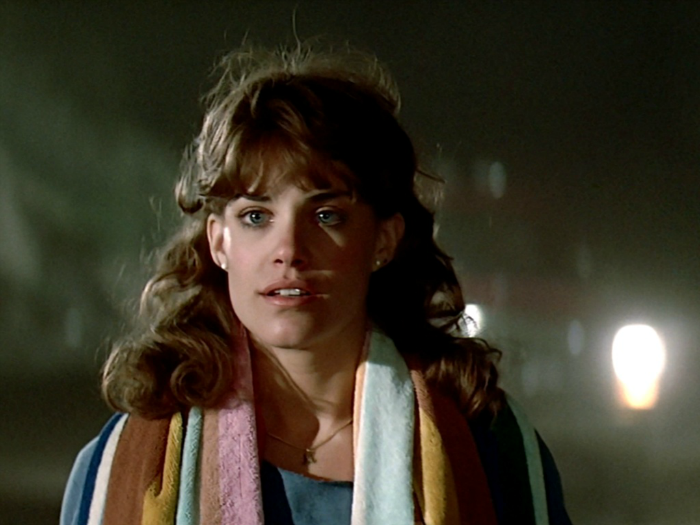 He lives in a trailer park in a small California town with his mother, his younger brother and his girlfriend Maggie (Catherine Mary Stewart). He dreams of the stars, he's bored living and working in the boring trailer park. To pass the time he plays Starfighter, an arcade game sitting just outside the Starlight, Starbright cafe his mother runs. 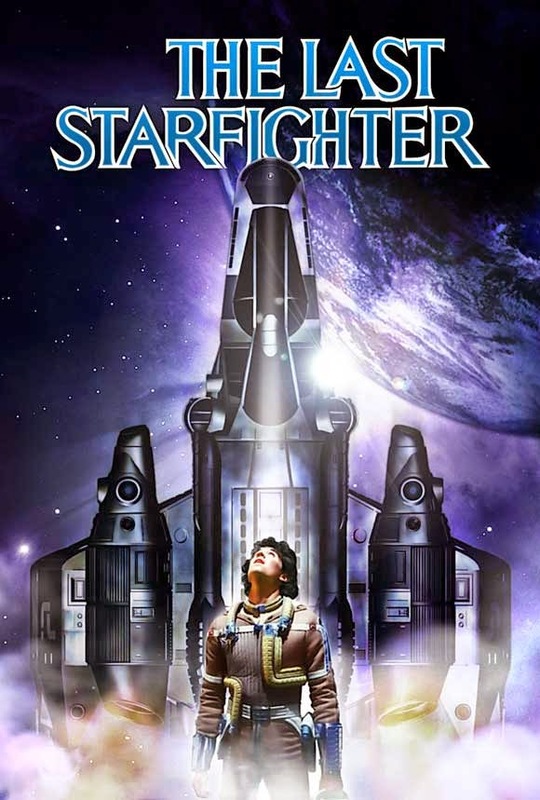 As he's learning that he can't get a loan to pay for college, and his duties around the trailer park keep him from getting away with his friends, he pours what free time he does have into the Starfighter game. The game puts the player in the gunner seat of a Starship tasked with defending the Frontier from Xur and the Ko-Dan Armada. Eventually he manages to beat the high score, in a scene that is comical for all the older citizens watching and cheering for him to play this video game with strange names that seem to have seeped into their collective conscious. The subtext being, this game has become something of a phenomenon in the trailer park. Later that night, a strange vehicle shows up. Inside, a friendly old man by the name of Centauri asks him to get in, which he hesitantly does. Centauri tells Alex he created the Starfighter game, and that it's all real. The game was a test. A simulator meant to test the skills of potential Starfighter pilots. They leave behind an android, they call Beta, who will take Alex's place in the community. He copies himself to look just like Alex so no one will know the difference. The ship takes him out to space and lands on Rylos. He's given a translator device, and asked to join other recruits. However, Xur locates the Starfighter's base and destroys it killing everyone, leaving Alex as the last remaining Starfighter. The film raises interesting thoughts on what a galactic community would be like. They bring up the fact that Earth isn't a formal member of the "Star League" and isn't due to be until it matures. This idea perhaps served as inspiration for future generations of science fiction stories such as Mass Effect. Where humanity has to work to earn its place among other species of the galaxy. However here, it's an underdeveloped thought. In fact, the aliens and the situation in space as a whole, is underdeveloped. The potential to build an interesting world is there, but sadly they don't take the time. The film rushes from sequence to sequence a little too fast, and as a result it lacks the depth of character and story found in other sci-fi franchises, particularly the one it's trying so hard to emulate. The parallel lines of action here are following Beta, and Maggie on Earth, and Alex in his Gunstar ship. Beta tries to blend in with the community, while Maggie grows suspicious of his peculiar behavior. Alex receives some brief training from his co-pilot Grig (Dan O'Herlihy) before hatching a plan to attack the Ko-Dan mothership. Xur, having failed to kill the last starfighter is mutinied upon, but before they can kill him, he escapes in an escape pod. Alex still has to find a way to bring down the mothership while under heavy attack from the Ko-Dan fighters. The design of the Starfighter ship, particularly the swiveling gunner seat, is clearly influenced by Star Wars. These parallel lines of action are pulled together by the love story between Alex and Maggie. It's a love story that feels real without ever becoming overly melodramatic. But what it does do, is make us care about the action going on in both sides of the story. It may not be the most original film ever made, it does borrow a lot from Star Wars, but it's fun and doesn't take itself too seriously. It was also well made for its time. The end of the film seemed to be desperately setting up a sequel, or a whole series that never came to be. Alex and Maggie, having returned to space, prepare to help rebuild the Star League, and defend its people against Xur. 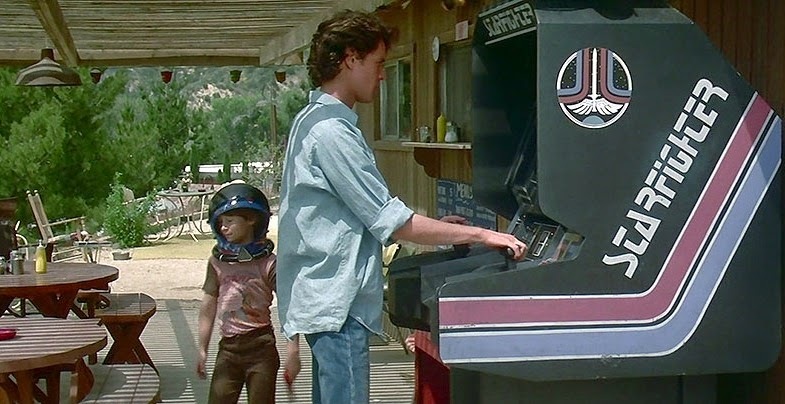 And Alex's younger brother Louis excitedly begins training himself by playing the Starfighter arcade game. Again, it's not overly original, but it was profitable at the box office. It was also made in the 80's, which is a popular decade to look for material to remake these days. It's become a cult classic by sci-fi/fantasy lovers and video game players who grew up in the 80's and 90's seeing this film. There's a lot they could have done with a sequel, and in today's Hollywood of remakes, sequels, and reboots it's surprising this movie hasn't been done again. I should also mention that today's gamers should enjoy this film. It also seems to have inspired Ready Player One author Ernest Cline in his latest book Armada. It set to be released on July 14, 2015, and the description of the book sounds vaguely like the plot of this film.